For those looking at low-cost additions for their Wii U download library, the Two Tribes Classics have certainly been tempting options — Toki Tori and EDGE have arrived so far. The final of the three releases now has a confirmed release date, with RUSH arriving in Europe and North America on 12th December for an initial price of £1.79 / $1.99 / €1.99; those rates represent a 50% discount over the launch period. RUSH did arrive on WiiWare in an earlier form as Rubik's Puzzle Galaxy: RUSH, though this new entry will be based on the PC / Mac title that followed with the shortened name. The Wii U eShop version will also have some benefits unique to the system, with Two Tribes listing the following features in its press release. Unique 3D puzzle solving gameplay with Conveyor Belts, Warps, Stop Signs, Splits and more. We'll be diving into this to bring you a review on its launch day. While we wait, below is the trailer previously released for the PC / Mac iteration — is this one on your wishlist? I still need to pick up Edge. Pass, played it on PC and it wasn't anything special. Same as Toki Tori. I still need to get Edge. I was saving that for the holidays. Seemed like a good fit for some reason. I'm hoping for enough money for mario 3d world, edge and toni tori. hope it will still be on sale. I loved Chu Chu Rocket, so I'll probably get this. I like these puzzle games. I bought Toki Tori, and I'll probably pick up EDGE and this with my $5 eShop promo code. I think it's a good deal. I'd never heard of this game until now, but I gotta say, it looks amazing! 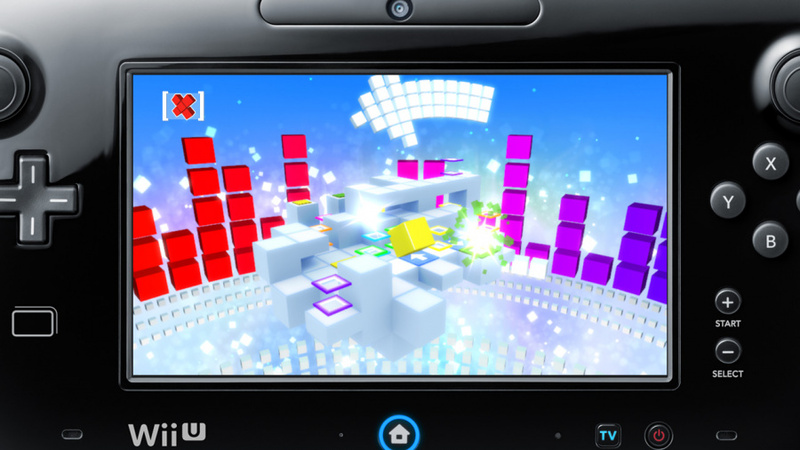 I love puzzle games of this variety, and this will be a wonderful digital addition to my Wii U. Edge came out in 2011, already have it on steam. Rush came out in 2010, got them both as part of an indie bundle about 10 games for $1-4 and they came with android versions too. I bought the original on Wiiware but haven't beaten it yet...those later levels were to hard! @sinalefa at $2 Edge is a steal. Fantastic music.. Not sure when the price will go up. Does anyone know if Rush will be 1080p/60fps like Edge? @GamerJunkie "Edge came out in 2011"
Probably not coming to Australia, right? @AdanVC its on pc too. and wii for rush. anyone know what they mean by launch period? I feel that the word classic is used.... too easily by people now.... 2 years ago does not seem like classic to me. I played a Steam demo a few weeks back. There isn't really anything wrong with it, but it lacks anything that makes it stand out. I'll pass. A fair point, to be sure. Although I guess if lumped together with Toki Tori it could be forgiven, considering its history. This game is fantastic, although you'd be better off to download it on Steam as part of the Two Tribes Bundle, which includes EDGE, RUSH, Toki Tori and Toki Tori 2+. Picked up the entire bundle for just €4,- last week. Anything Two Tribes have put out on Wii U so far was special. Very excited for RUSH as it escaped me on WiiWare back then because nobody told me how great Two Tribes really are! Edge wasn't $1.99 was it?